Building a fence on your property adds both value and functionality. Sorting through the variety of different fencing options to fit your needs and budget is confusing and time-consuming. Before constructing a new fence, learn about the many types of fences available to you. Before deciding on a fence, you need to have a clear idea of why you need to install the fence in the first place. What is your main purpose behind your new fence? Do you live in a busy area and want to keep wandering eyes away? You should choose a privacy fence. Are you worried about the safety of your family or pets? Think about installing a high-quality security fence. Is simply adding beauty and value to your home the most important reason? Invest in a luxury fencing option. A privacy fence can make you feel more comfortable in your yard, especially if you spend a lot of time outdoors. Before building a privacy fence there are many things to consider. For practicality, most privacy fences are at least six feet high, but you may opt for something even higher. Remember to check out building codes for your neighborhood, as many HOA have restrictions on the height of fences. Most materials make excellent privacy fences so contact a professional to find out what fits your needs. Whether you need a way to keep something in or out of your yard, constructing a security fence is the answer. If you are concerned about people wandering onto your property, an 8-foot aluminum or steel fence with anti-climb construction is a good option to deter trespassers. Keeping a pet from escaping your yard won’t require an 8-foot fence, but will need to have closely-set fence posts. Think about incorporating anti-dig protection to prevent your dog from tunneling its way to freedom. Fences surrounding pools need to meet minimum requirements in some neighborhoods, so be sure to know the local building codes. Top real estate companies agree that building a fence is one of the best ways to improve the value of your home. But which type of fence should you select? A luxury fence complements your house. Match the aesthetics of your home by choosing a fence which is appropriate for its architectural style. A unique fence is one of the focal points on your property, so consider painting it a bright color to add a visual interest. 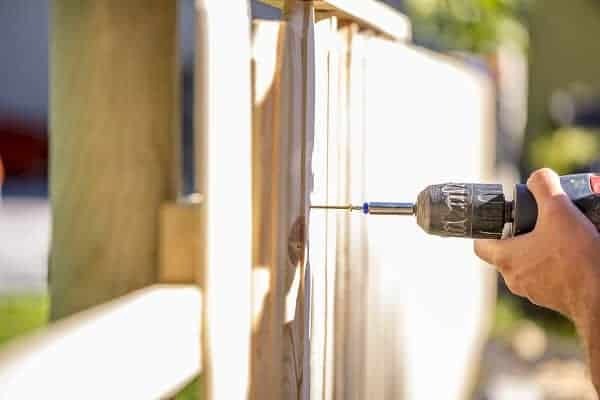 Use a clear varnish on a quality wooden fence to let the natural wood grain show through. Choosing and installing a fence is more complex than most homeowners think. It is always a good idea to speak with a fencing professional to answer all of your questions. Rustic Fence in Arlington, TX is happy to answer your questions, and assist you with any of your fencing needs.